We had our first family meeting about our move to Spain last Sunday. We should have had one a long time ago, but as with all of this, we are learning. Scott and I made the mistake of discussing a sabbatical way too early with the girls. While we’ve been considering and discussing this for six months now, that is way too much time for them to have to deal with their fears and concerns. What we thought they would love talking to us about, they now hate. As you would expect, they are scared and sad about leaving Boulder and their school and friends and family. So I proposed a family meeting to just get all of the concerns out on the table, and Scott had the idea to focus on the summer and all of the great, fun things we will get to do. Each of us took one of the girls and a big pad of paper and pens and ink and started drawing all of the cool things we are going to do. Both girls loved it and we all had a fun time. They each then had to present the poster, and we hung them up in the bedroom afterwards. The next day, I had two comments from Emma, “When we go to Spain….” I was so excited to hear her acknowledge the inevitable. It was a first. She later in the day than exclaimed, upon some discussion amongst her and Grace, “I never get to have my birthday anywhere fun!” So I challenged her to pick somewhere fun for her 10th birthday in November…Paris, Switzerland, Africa? 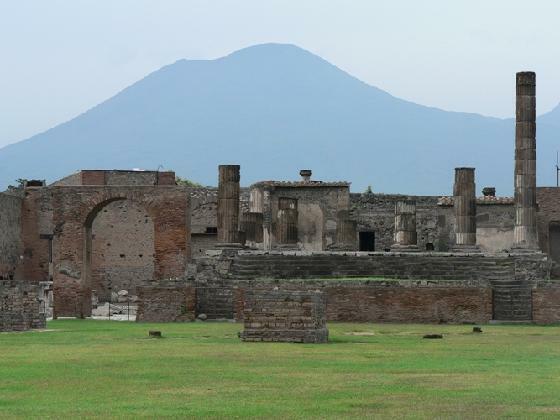 She shot out, “Pompeii!” So, Pompeii, Italy it is for us in November! The girls wanted to have family meetings twice a week after that. We’ve opted for a regular scheduled Sunday afternoon one. Next topic, picking the rental houses for the summer. Stay tuned.